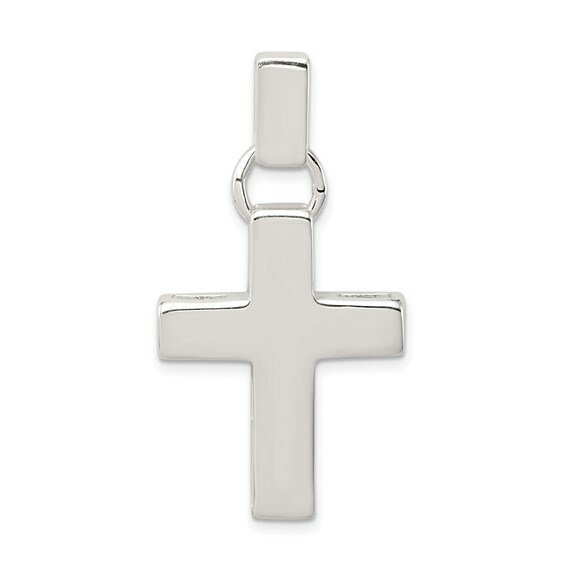 Sterling Silver modern squared cross Pendant has an open back. Cross is 1 inch tall by 3/4 inch wide without bail. Weight: 5.3 grams. Import.